107 mins. Rated PG-13 for intense sequences of violence and action, some sexual content, language and drug references. After the serviceable but ultimately disappointing The Fast and the Furious: Tokyo Drift, Universal had two choices: kill the franchise or put everything you have into it. They chose the latter and brought back what made the series such a powerhouse. The entire principal cast of the original film was back, and with an entertaining story and the work from director Justin Lin (Finishing the Game: The Search for a New Bruce Lee, Annapolis) and screenwriter Chris Morgan (47 Ronin, Wanted), it was a formula that actually worked. 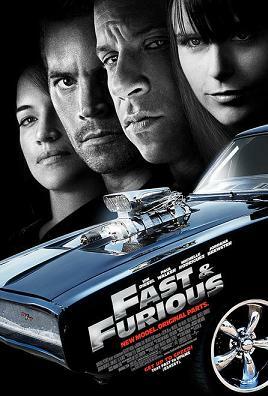 When fugitive Dominic Toretto (Vin Diesel, Guardians of the Galaxy, Riddick) loses everything that matters to him, he returns home to his sister Mia (Jordana Brewster, TV’s Dallas, The Texas Chainsaw Massacre: The Beginning) and crosses paths with Brian O’Conner (Paul Walker, Brick Mansions, Hours), who has earned his life back as a federal agent. The two are forced to join together to take down an elusive new villain never seen and only known as Braga. Before we get too deep here, I would like to point out that this film is more of an interquel as opposed to a straight sequel. 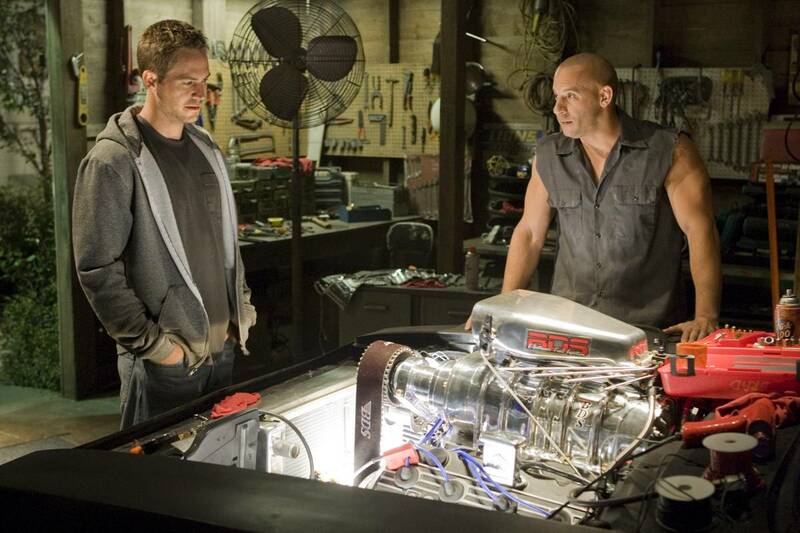 It takes place between 2 Fast 2 Furious and The Fast and the Furious: Tokyo Drift. It features a character, Han, who we see biting the dust in the previous film. I’m not entirely sure why this choice was made, but I like the idea of Han sticking around. He is a likable hero. Having Diesel and Walker together again is action gold. These two worked very closely in crafting this sequel with the crew to make it not only worthwhile but also help build a gigantic franchise out of the fledgling series, and it works so well. There are elements of this franchise that owe a lot to this entry. The races and chases are incredible yet simple, the characters actually develop as the film progresses, and I could tell everyone is having fun here. Director Lin and screenwriter Morgan have learned a lot about crafting a sequel and it shows. Lin’s directing has improved, giving equal time to emotional beats and car-bashing crazy, and Morgan’s screenplay is formulated to transform the franchise and its characters. 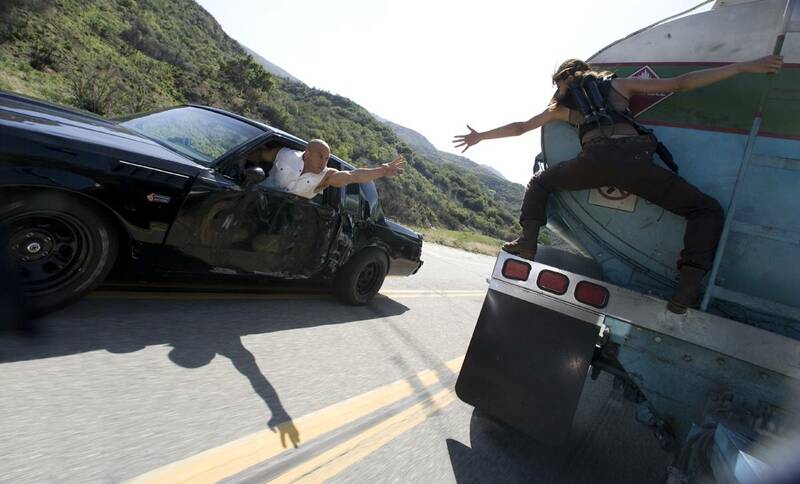 Fast & Furious is the sequel fans deserved and it’s the one they finally got. It proved that a series can learn from previous mistakes and evolve, and it gives viewers some of the coolest action on the screen. It still holds onto the grindhousian insanity that made the first one enjoyable and continues the tradition onward.